The kids library offers a wide variety of literary programs, clubs, and special events. Listed below are all of our events for April 2019. Or feel free to look at our calendar for library-wide events. Our librarians put on quite the show during our story times! All ages: Wear your pjs to our new Night Time Family Story Time and join Miss Barbara in songs, stories, rhythms, movement, and more for the whole family! Please register. Ages 0-18 months: Baby Story Time supports early literacy and language skills by encouraging singing, playing, talking, and shared reading. Join us for fun stories, fingerplays, and snuggling in a welcoming environment. Caregivers stay with their children. No registration necessary! 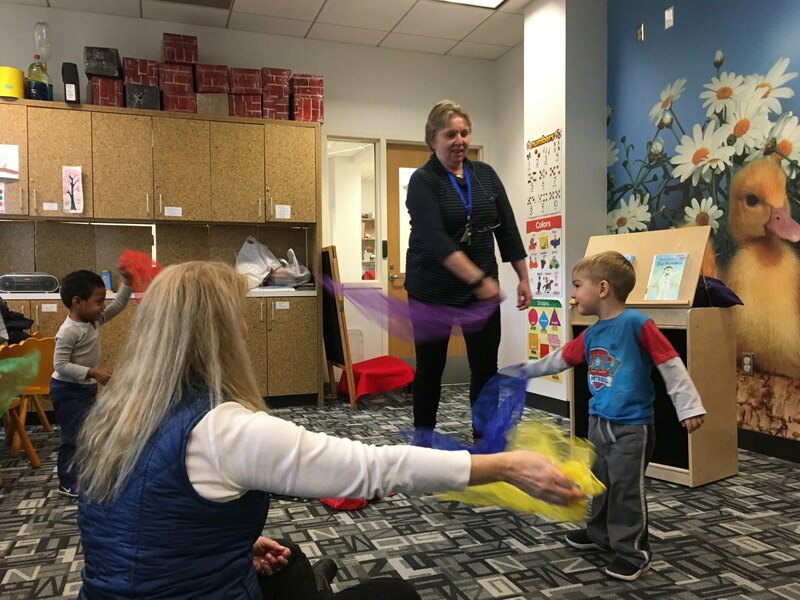 Ages 18 months-3 years: Toddler Story Time encourages early literacy, and helps develop language skills and social skills through the use of simple books, fun fingerplays, and action rhymes. Children learn the joy of choosing a book and shared reading. Caregivers stay with children. Please register. Ages 3-5 years: We read stories, do fun fingerplays, sing songs, play letter-recognition games, make crafts and more. Join us for a fun time and develop literacy, language, and social skills as well as positive associations with reading and the library. Caregivers must stay in library. Please register. 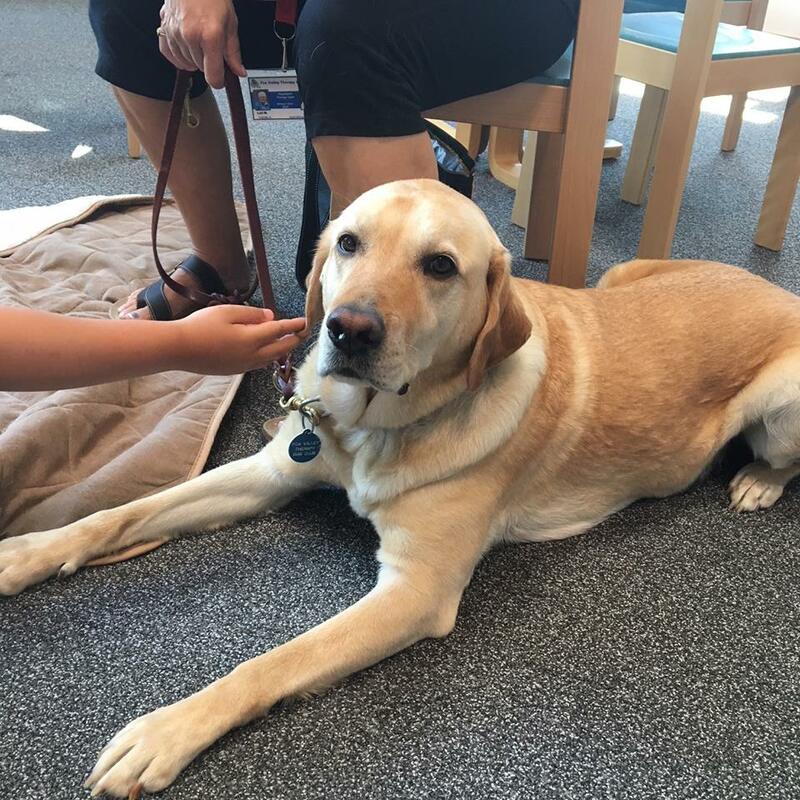 All ages: Spend some time practicing your reading with friendly dogs from Fox Valley Therapy Dogs. Children who are able to read on their own can read their favorite stories to dogs who love to listen! Please register separately for each month. These clubs are geared towards kids in kindergarten through 5th grade. Grades 3-5: This exciting monthly club includes activities specific to each month's title. Read "Restart" by Gordon Korman in advance and come discuss it with other kids your age while sampling delicious doughnuts. Please register. Curiosity Club: Let's Go To Mexico! 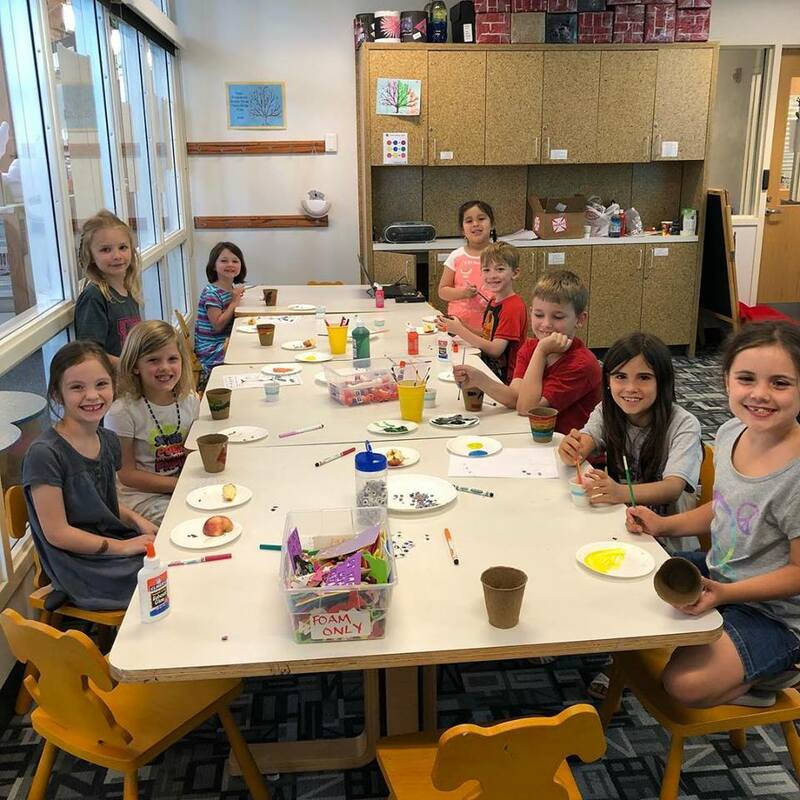 Grades K-2: This fun monthly program includes books, crafts, and activities geared toward curious kids in K-2nd grade. Join us as we explore a new and interesting topic each month. Please register. Grades 4-8: Love chess? Join our chess club! There will be a puzzle or a new strategy at the beginning of each session, followed by playing a game of chess. A moderator will lead the group and help instruct on chess skills. Chess club meets the 2nd & 4th Wednesday of the month. This club is for kids in grades 4-8 who already know how to play chess. Please register. Grades K-5: Everything is awesome at Lego Club! Let your imagination soar; the ceiling is the limit! Lego activities include building, games & more. Lego materials provided by SGPL and all creations will be displayed in the library for the month following each club. Please register. 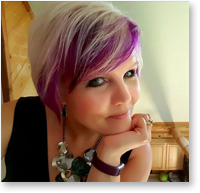 Clap, sing, and play instruments along with Amy Peters from Brightest Stars Preschool in this exciting, interactive concert!! All ages. Please register.